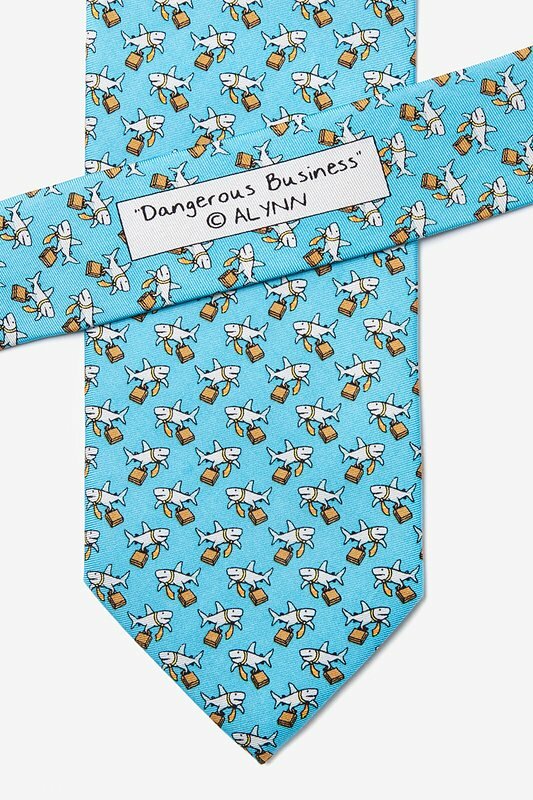 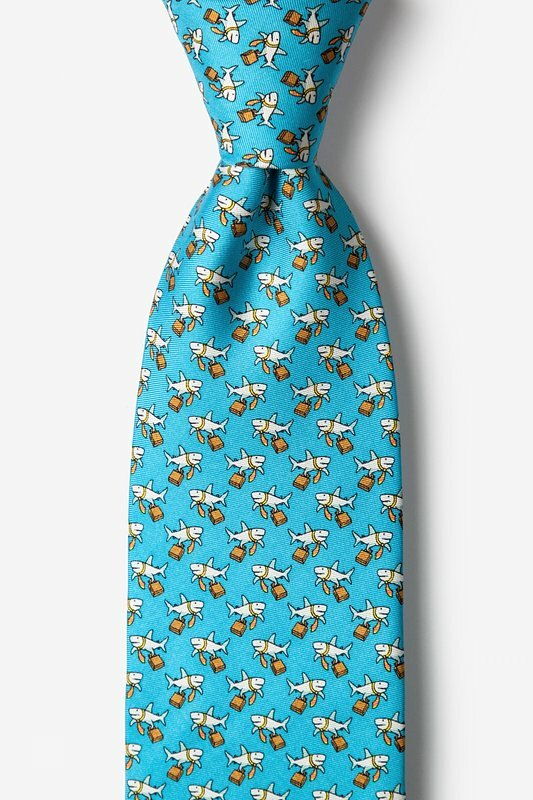 Bring your A-game and show the shark within with Alynn Neckwear's Dangerous Business Tie, featuring a briefcase-clad predator ready to dominate the boardroom. 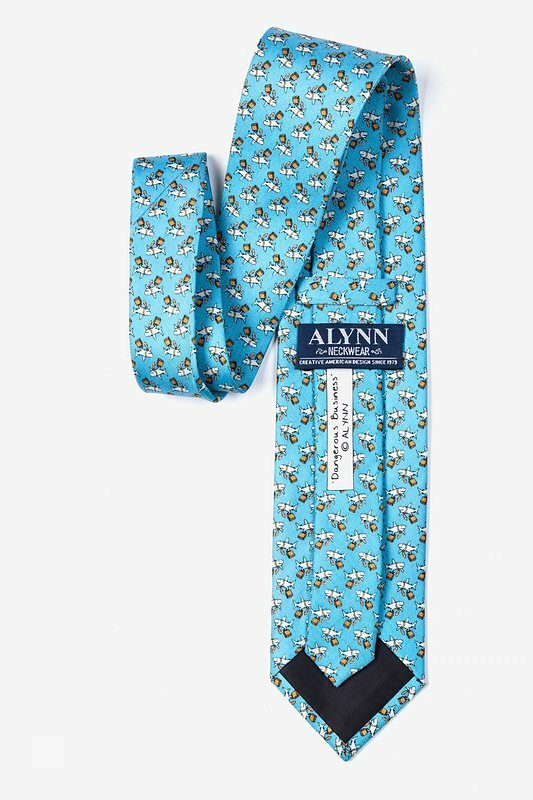 This s... read more Bring your A-game and show the shark within with Alynn Neckwear's Dangerous Business Tie, featuring a briefcase-clad predator ready to dominate the boardroom. 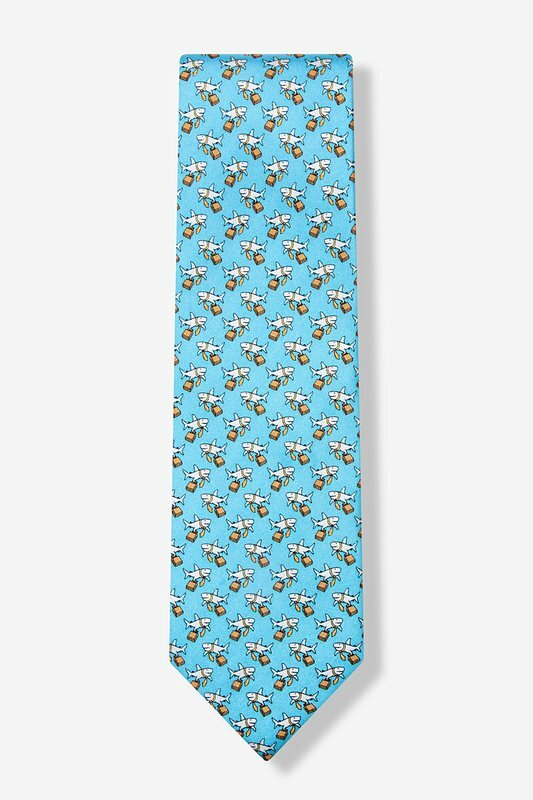 This silk tie is sprinkled with light blue, tan, yellow, and red on a sea of soft blue and embodies the confidence you need to make mergers and beyond!